Ukrainian hosts seize the opportunity to underline country’s European credentials and polish international image. May 2017 is likely to go down in history as a landmark month in the epic odyssey of Ukraine’s post-Soviet European integration. In the past few weeks, Ukrainians have celebrated confirmation of visa-free EU access, while also hosting the Eurovision Song Contest in spectacular fashion. Victory at Eurovision went to Portugal’s Salvador Sobral with his hauntingly beautiful song, “Amar Pelos Dois”. However, once the glitzy costumes are packed away and the dust has settled, we will likely come to recognize that the real winner of Eurovision 2017 was Ukraine itself. Ukrainians managed to introduce their country to thousands of international guests and hundreds of millions of TV viewers across the globe, creating an array of positive impressions that directly challenge prevailing negative stereotypes of war-torn and poverty-stricken Ukraine. Kyiv has been in full festive mood for the first two weeks of May, with Eurovision-related fun throughout the city. The Ukrainian capital made a huge effort to impress Eurovision visitors, opening up numerous fan zones and laying on a small army of English-speaking guides. Police underwent special training and transport hubs received makeovers, while clubs and bars bent over backwards to offer a warm welcome. Meanwhile, the show itself was a technical triumph complete with brilliant branding, stunning stage and professional presentation. There were inevitably hiccups along the way – the contest’s “Celebrating Diversity” slogan was not reflected in the choice of three male hosts, while the failure to complete the Arch of Diversity in downtown Kyiv due to far-right objections also led many to see the unfinished arch as a metaphor for Ukraine’s incomplete embrace of European values. Nevertheless, Ukraine’s overall handling of the country’s Eurovision 2017 host duties was engaging and impressive in equal measure. The success of the Eurovision Song Contest in Ukraine was by no means a foregone conclusion. Hosting Eurovision is a complex and expensive undertaking that presented considerable challenges for a notoriously cash-strapped country also currently defending itself against a Russian hybrid war in its eastern borderlands. 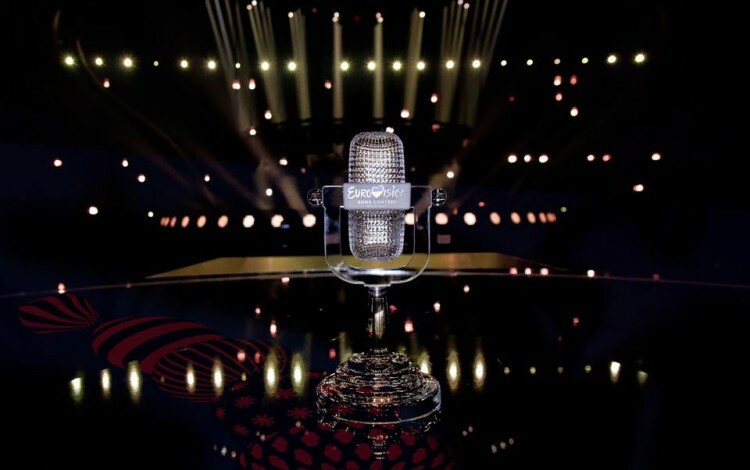 For months prior to the song contest, rumors continued to swirl regarding Kyiv’s lack of preparations and Ukraine’s inability to finance the event. Russia also tried to spoil Ukraine’s Eurovision party by selecting a Crimea-tainted singer to represent the country. The Kremlin chose Yulia Samoylova safe in the knowledge that she would be unable to perform in Kyiv, having earlier violated Ukraine’s border laws by illegally entering the Russian-occupied Ukrainian peninsula. This stunt generated considerable negative publicity but ultimately failed to derail Ukraine’s preparations. It may even have played a part in the success of the song contest in Ukraine, removing an awkward political element from the agenda and allowing organisers to focus on putting together a spectacular show. Ukraine’s successful stint as Eurovision host nation is an important soft power victory for the country that will resonate far beyond the narrow confines of the song contest itself. It will help Ukraine to build a more positive international image after spending decades in the shadows and the past few years depicted in one-dimensional terms as a warzone. Crucially, it will also serve to counter Russian efforts to denigrate Ukraine on the international stage. Having failed to convince global audiences that neo-Nazis have seized power in Ukraine, Kremlin tactics have since moved on, with Moscow now preferring to portray the country as a failed state. Gushing coverage of Kyiv’s citywide Eurovision extravaganza will go a long way to dispelling such myths, while also positioning the Ukrainian capital as an appealing European destination for both tourism and business. This image boost could have very real consequences for the country’s economy. In the struggle to attract international investment, perceptions play a hugely important role. The success of Eurovision will not change negative perceptions of Ukraine overnight, but it will raise the country’s profile and encourage many more people to investigate what it has to offer. This is what hosting international events is all about. Ukraine can now take significant satisfaction from seizing what was a rare opportunity to sell itself to global audiences. Ukraine is a country with a lot of good economic, cultural and touristic opportunities.